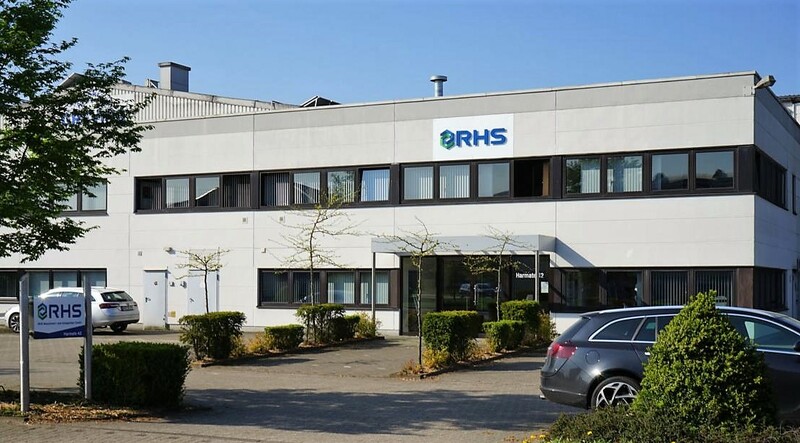 As an innovative SME, RHS Maschinen und Anlagenbau GmbH has established itself as one of the leading manufacturers of drying plants. We specialise in process-orientated plant manufacturing, and in particular in modularised multi-container drying systems. Our high-efficiency Rhino dryers for biomass such as sewage sludge, fermentation residues, wood chips and other biological waste products meet the demands of municipal and commercial water treatment bodies as well as those of biogas plant operators. On the basis of ‘Made in Germany’ we ensure a sustainable quality advantage for our customers that pays off even at the everyday level. An investment in a drying plant can thus be recouped in a very short time. For many years RHS Maschinen und Anlagenbau has been synonymous with drying plants of the highest quality. The company was founded by its three directors, Andreas Rensing, Jörg Hinz and Kai Schmitz. After a number of years manufacturing at Ammeloe, in 2013 we moved into new production premises in the commercial district of Ahaus/Wüllen, where we now respond to customer requests of all kinds on a floor area of over 5100m². With us, you receive all services from a single source, from consulting and planning through to installation. After commissioning the drying plant, we also offer an impressively high level of customer and maintenance service.